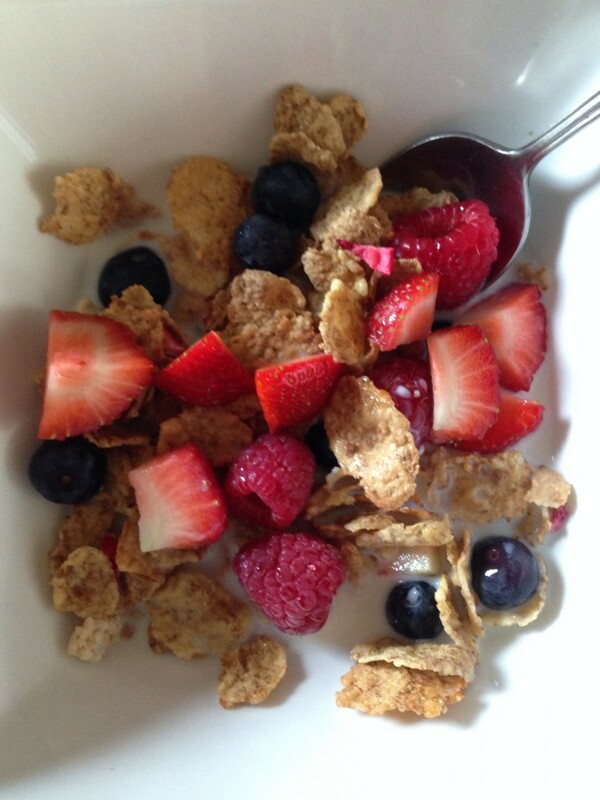 Special K Creamy Berry Crunch with semi-skimmed milk and fresh blueberries, raspberries and strawberries. This is one of my favourite cereals as I love the little vanilla flavoured clusters. I had a cup of Sainsbury’s Fairtrade tea with semi-skimmed milk. 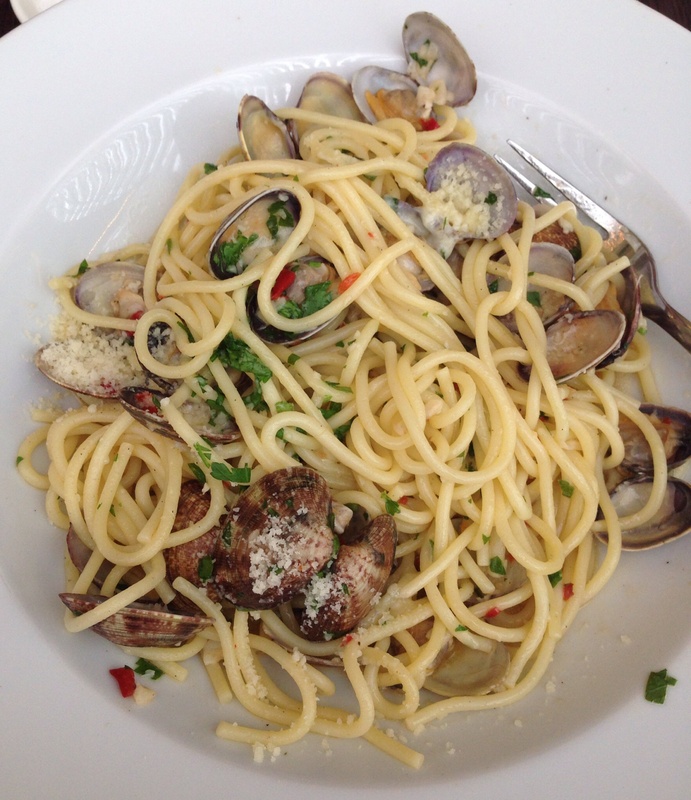 We went to The Mall at Cribbs Causeway, Bristol, today so for lunch I had Carluccio’s Spaghetti alle Vongole in Bianco (spaghetti with clams, garlic and chilli). I also ate a bit of Andy’s pasta (Linguine al Frutti di Mare – Linguine with seafood, herbs and chilli) as he filled up on bread! I was naughty today and didn’t have dinner as I ate a lot at lunch and we had it a bit later than we normally do. I did have dessert at Carluccio’s though. 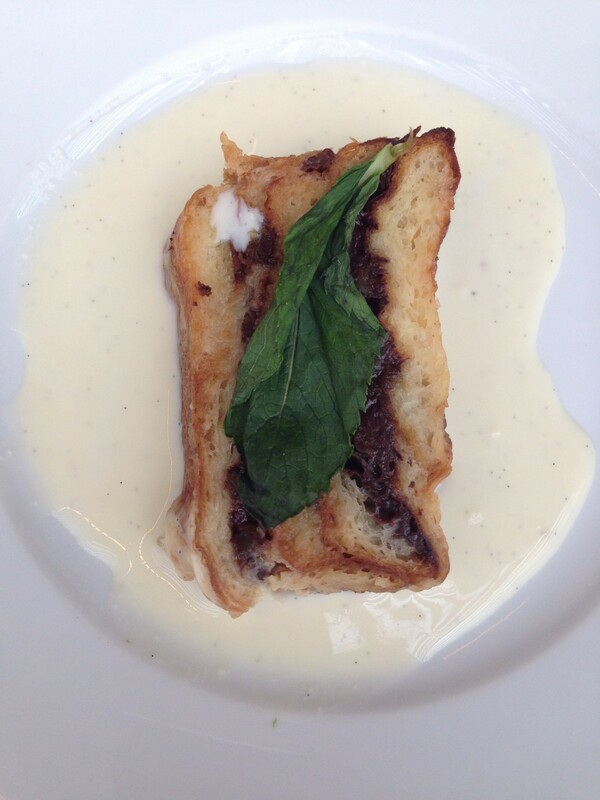 Pasticcio di cioccolato (Warm bread and butter pudding). It was supposed to be served with ice-cream but it came out with something that looked like cream but was warm like custard. It was a shame as I wanted to share the ice-cream with Annabelle but she seemed happy enough with her second cup of babyccino so I didn’t complain. I didn’t get a picture of all my snacks today as I forgot to take pictures. 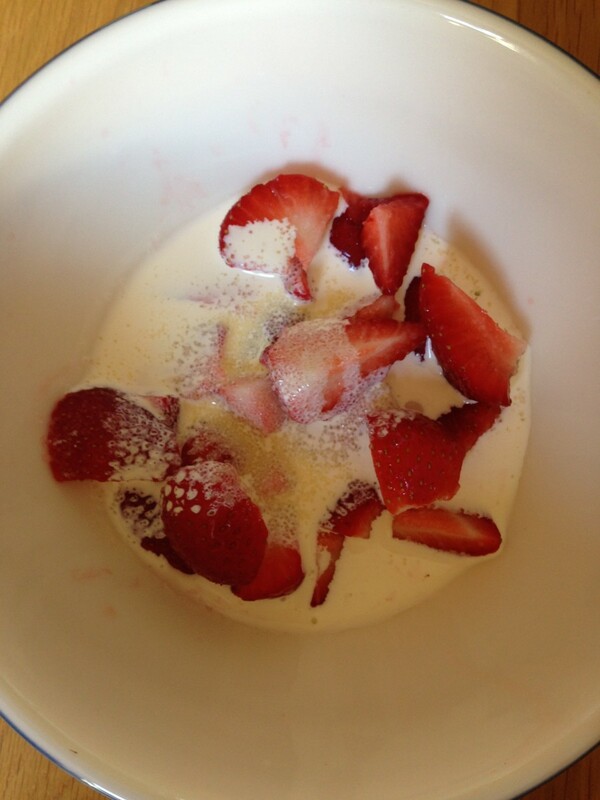 I had fresh strawberries with double cream and a teaspoon of sugar. 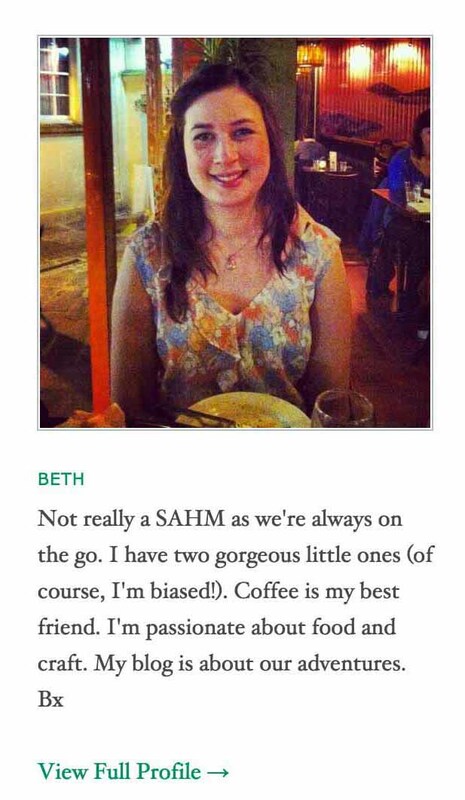 I also had a Soya decaf Caramel Macchiato from Starbucks and a few salt and vinegar flavoured Pringles. It is slightly sweet but it’s not sugary in the way that a lot of cereals are. I’m not really a big fan of overly sweet brands but I think that adding berries distracts attention from any sugar. Is it cheaper to have supermarket sandwiches for you? Here it’s less expensive to make them at home. I do like them every now again but find they can be a bit salty. Ooh, I’ve never tried fruit loops. I do like Coco pops but last time I had it was last summer after Annabelle didn’t like it and I had to finish it!